One of the greatest aircraft development stories in history is coming soon! One of the most exciting and defiant fighter aircraft on the planet is about to be unleashed! With the coming of the entire DARK MOON aircraft line, the night sky will be light up like a torch! Just try and get your mind around the concept of an aircraft that only flies at night! A fighter aircraft whose only mission is to shadow the motion and forces of the moon? Now imagine a once and a life time flight mission like no other conducted at such high speeds that even the thought of it makes your mind blurrrrrr..... The mission of a peace and security fighter has a very different mission then the standard fighting aircraft .Its primary goal is to be a peace making warrior. 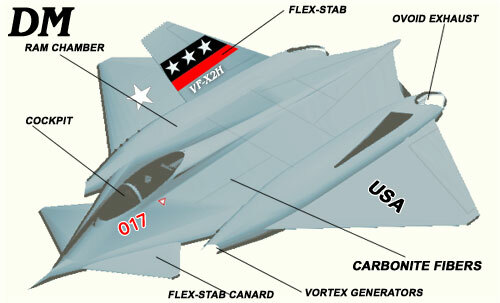 The DARK LORD X SERIES program is a super aircraft development program that started as an anti-stealth interception program. Team MoTIS has a super design mission that has been in the planning over two years in the making. As we do not design the work of other real world or other neo concept designers period, team MoTIS exists to preview our own intellectual property. As the field of neo concept design is a growing and truly undefined one in many aspects and respects, we at team MoTIS will be previewing numerous pre-design stated aircraft at this website as our mission is not one of design one aircraft release one aircraft but the creation of neo concept systems reflective in the growth of numerous programs that are totally and undeniable linked to each departments design and mission. MoTIS is a first stated neo concept commercial developer and the pre-completed states of numerous neo concept aircraft previewed designs, in no way shows the shear completeness of the professionalism inherent in our commercial brands. We believed that from day one we should provide our viewing public with the capacity to evolve with the MoTIS design mission and so we present designs in preformatted formats so as to allow the viewing public to experience the full evolution of what we have been planning for years now. This is actually very creative and exciting as we have forgone standard forms of simulation releases well with in the release goals of numerous freeware designers and developers. We also stated from the very first day, that our very unique design mission and philosophy are only translating our own neo concept designs, that have been labored over for numerous years prier to the translation into flight simulated programs. We believe that our stated goals in the translation of our products into the world of standard flight simulations aircraft is not to be taken as a standard form of designing as our design mission in numerous ways will not fit the stated standards of tradition FS designing and we have therefore opted to take many different self created pathways to completing our stated design goals as stated day one. It is safe to say that until the MoTIS statements of this type of design mission, noting like this as a matter of public record has never been done before and many onlookers may not completely relate to the intensive previews and real time design agendas but they have in fact been stated form our first day of business which makes the base of our design mission well with in the stated goals that we projected to the viewing public in general. As MoTIS is an original design group we copy no real world or neo concept design group and ask all neo concept design patrons of any kind to please view the totality of our neo concept designs , programs, and articles, and practices for content, chronology , and true originality.
. Viewing our content is a choice and not a requirement but we ask that if you enjoy our mission and the goals that we aspire to then understand that accurate historical data keeping in the expansive field of neo concept aviation is a must as numerous members of the freeware design agenda will not attempt to record the stated progress of contributors to this new and exciting filed , which team MoTIS have vest non-economical stakes in, beyond the world of just hobbyist FS simulations entertainment. From our first full announcement in the now long gone FSI MAGAZINE ,team MoTIS announced our original mission and created numerous web content on how to make fantasy designing trendy and main stream and for that we are indeed leaders in neo concept aviation. We take great pride in bring the world the best of our own designs and ask that you continue to expect nothing less then the best of our stated mission form day one on record! MoTIS exists to share and preview our designs with in the sole scope of our own design agendas only. Copyright (C) 2002, 2003,2004 ,2005, 2006 by MoTIS INDUSTRIES. All rights reserved.